As part of our Summer 18 India collection, the Brindisi 21 design features a vibrant combination of vertical stripes, showcasing our signature colours for the season of teal, blue, pink and orange. We are constantly striving for versatility for our customers, which is exactly why we wanted to develop a short pajama set for women. 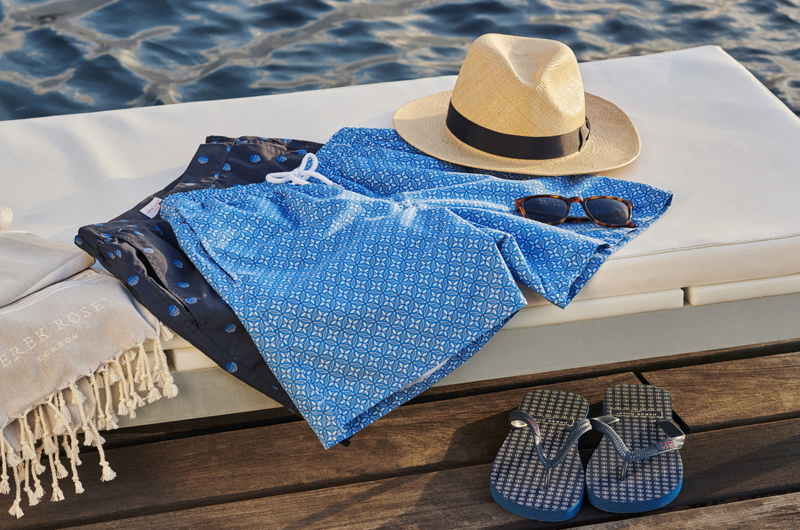 Designed for a flattering but comfortable shape that excels in warmer weather, our women's shortie pajamas will keep you cosy, cool and effortlessly stylish at home. 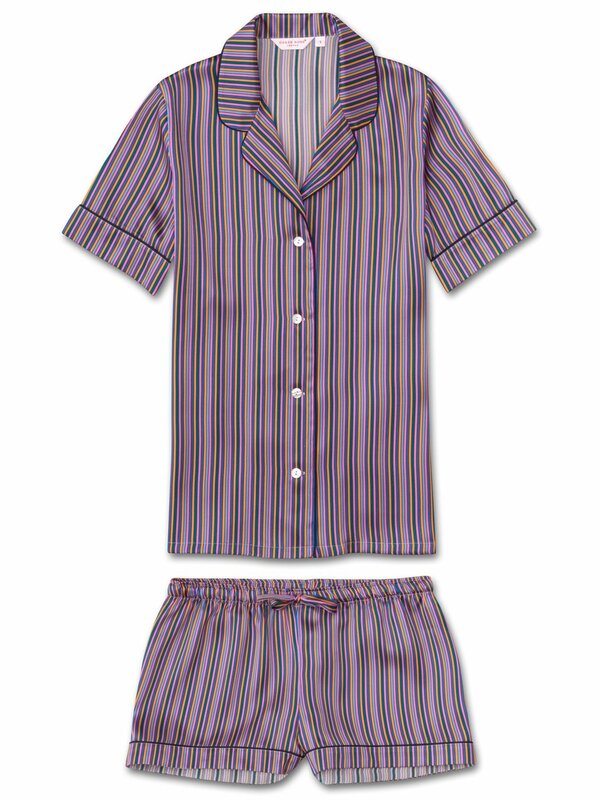 Produced in extremely limited quantities and the result of hours of loving craftwork by our skilled pattern cutters and seamstresses in our Cheshire, England workshop, this luxury PJ set is cut by hand to ensure we uphold the supremely soft and smooth satin finish. The short sleeve jacket features a fully piped finish in a navy blue trim, rounded feminine collar and mother of pearl buttons. The quality of craftsmanship continues with the shorts and their elasticated waist, piped cuffs and self-fabric drawstring for added comfort.